I’ve been a casual disc golf player for decades – which means that I’ve played maybe a dozen times in my life. Recently, Logan has taken an interest in the sport and I’m really digging the chance to hang with him and pick up the discs again. We’ve played a couple of courses here in Central Texas and it’s been great. 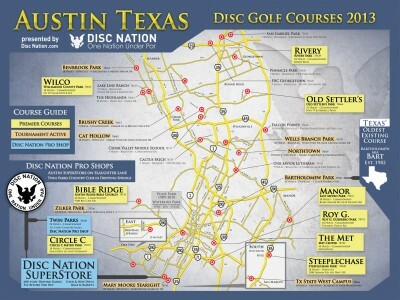 Zilker Park is quite possibly the easiest course I’ve ever seen with mostly short holes that are all jammed together. It clocks in at 1 mile or walking for a round of 9 holes. Logan and I played four rounds there one Saturday in some serious windy conditions. We took a quick jaunt over to Steeplechase Park in Kyle yesterday for what is called a Difficult level course – what an understatement! 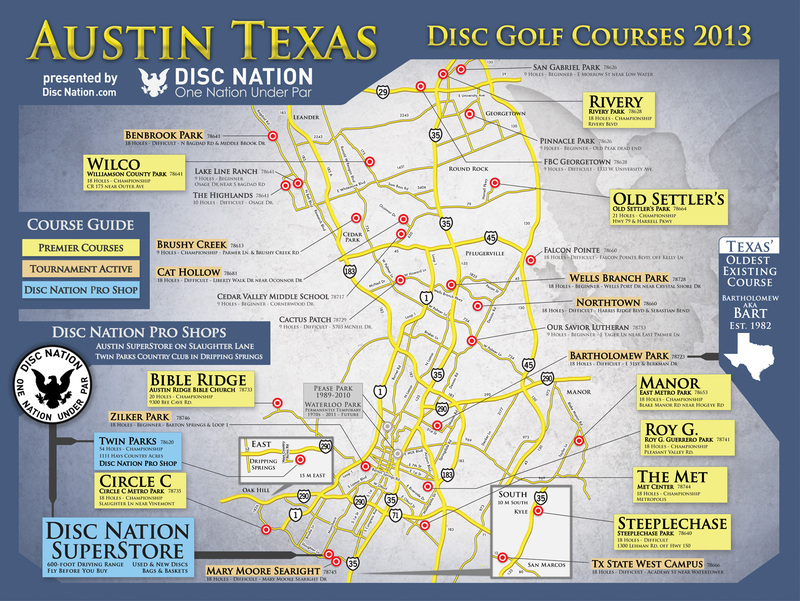 Here is the Disc Nation Superstore map of the Austin area courses. Heartbleed is real… what you must do now!